This restaurant is truly a rare GEM. Owner retiring who has put decades worth of time and effort in to creating a beautiful restaurant since 1991. sources their farm to fork organic ingredients. This quaint and qrirkie cafe property is located in beautiful historic downtown. 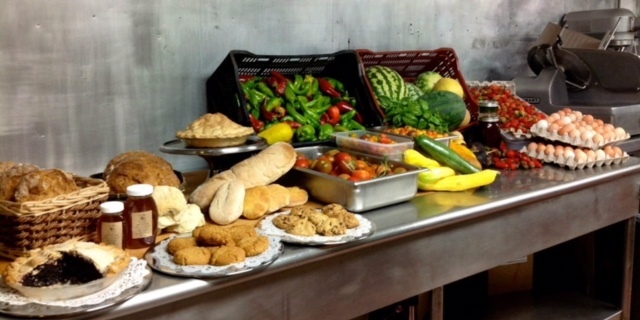 They feature locally grown foods from their own farm and local farms. Part pub, part pantry and part parlor. The building includes an upstairs which currently has two offices for personal space as well as a 1 bedroom/1 bathroom living quarter that is currently rented out. Rental income included. The restaurant has a positive cash flow with ONLY 5 days open for Breakfast and Lunch only. New owner, can increase revenue by opening more shifts/days. The restaurant includes a Type 41 beer and wine license. Current owner has done no online marketing at all. No website because no need. The business markets itself because of the quality of food. The restaurant has 4.5 stars on Yelp. This restaurant/property is truly a steal and an opportunity to continue and has so much for potential for a new fresh owner. Also, opportunity to purchase the sourcing 7 acre farm nearby. This is a highly confidential listing so please complete the 'Non Disclosure Agreement' on our site and we'll send you the name and address with full financial information. We'll also send you the Broker's contact information so you can discuss this opportunity in more detail.